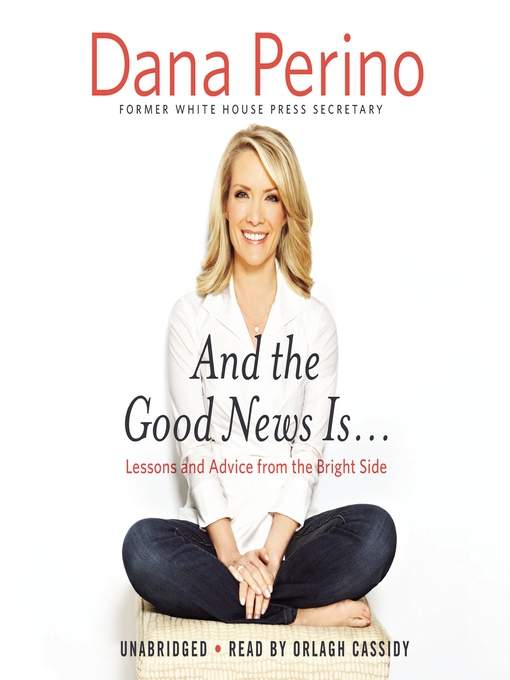 From her years as a presidential press secretary to her debates with colleagues on Fox News' The Five, Dana Perino reveals the lessons she's learned that have guided her through life, including stories from behind the scenes at the White House with President George W. Bush that the cameras never captured. Thoughtful, inspiring, and often surprising, And the Good News Is... traces Dana's unlikely journey through politics, the White House, and television. She has an uncanny ability for knowing what to say and how best to say it. A recurring theme in And the Good News Is... is that planning has never worked for Dana; every time she has made a plan, something unexpected—and often better—has happened. And the Good News Is... blends a candid self-portrait with advice for allowing one's very best personality traits to shine through, emphasizing that dignity and civility are choices we make for ourselves.